As Professor of Human-Computer Interaction, Dr Wong's research interest is in the representation design of information and the interaction of user interfaces to support decision making in complex dynamic environments such as emergency ambulance command and control, air traffic control, and hydro-electricity dispatch. He uses concepts and techniques from usability engineering, cognitive task analysis and cognitive systems engineering to understand the nature of expertise and to model the nature of cognitive work. He is currently investigating the problems of visual analytics in sense-making domains with high information density and variability, in contexts such as intelligence analysis, financial systemic risk analysis, and low literacy users. In the process, he invented INVISQUE – the interactive visual search and query environment that has introduced the concept of "grasp-able" information to facilitate information search and discovery in sense-making (www.invisque.com). Recipient of over US$25 million in grants, he is or has been the project coordinator for several multi-parrtner, multi-national, research consortiums: FP7 VALCRI, FP7 CRISIS, UKVAC (funded by HM Government and US DHS), EPSRC Making Sense (deputy PI), EUROCONTROL 3D-in-2D project. 1995 – 2003, New Zealand. He set up the Multimedia Systems Research Laboratory as a centre for research into human factors and multimedia. 2003 – present, United Kingdom. 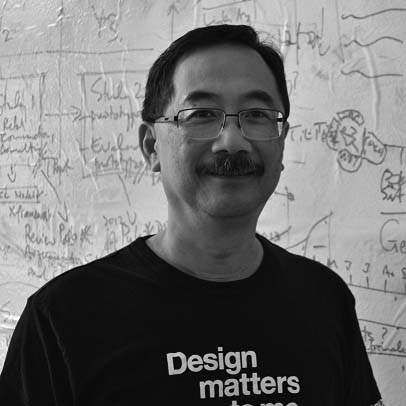 Wong led the Interaction Design Centre to use Human-Computer Interaction as basis for designing new technologies, e.g. in ATC, simulation and training, and INVISQUE. He led the UKVAC, and from time to time provides VA advice to HM Government. Albinsson, P.-A., Wong, B. L. W., & Pilemalm, S. (2005). Using a reconstruction-exploration approach to empower cognitive analysis methods: Possibilities and challenges. In Proceedings of the Human Factors and Ergonomics Society 49th Annual Meeting, 26-30 Sept 2005, Orlando, Florida. (pp. 224-228): HFES Press. Blandford, Ann, & Wong, B.L. William. (2003). Field research in HCI: A case study. Paper presented at the CHINZ '03 Conference of the ACM Special Interest Group on Computer-Human Interaction New Zealand Chapter, Dunedin, New Zealand. O'Hare, David, Wiggins, Mark, Williams, Anthony, & Wong, William. (2000). Cognitive task analysis for decision centred design and training. In J. Annett & N. A. Stanton (Eds. ), Task Analysis (pp. 170-190). London: Taylor & Francis. Wong, B. L. W., Ng, B. P., & Clark, S. A. (2000). Assessing the effectiveness of animation and virtual reality in teaching operative dentistry. Journal of Dentistry: Educational Technology Section, 1(1), http://www.elsevier.com/homepage/sab/jdentet/contents/wong1/wong1.html. Wong, B. L. William, & Blandford, Ann. (2002). Analysing ambulance dispatcher decision making: Trialing Emergent Themes Analysis. In F. Vetere, L. Johnston & R. Kushinsky (Eds. ), Human Factors 2002, the Joint Conference of the Computer Human Interaction Special Interest Group and The Ergonomics Society of Australia, HF2002 (pp. CD-ROM publication). Melbourne. Wong, B.L. William, Ng, Betty P., & Clark, Simon A. (2000). Identifying expertise for CAL program development in operative dentistry. Journal of Dentistry: Educational Technology Section, 1(1), http://www.elsevier.com/homepage/sab/jdentet/contents/wong2/wong2.html. Wong, B.L. William. (2004). Data analysis for the Critical Decision Method. In D. Diaper & N. Stanton (Eds. ), Task Analysis for Human-Computer Interaction (pp. 327-346). Mahwah, NJ: Lawrence Erlbaum Associates. Blandford, Ann, & Wong, B.L. William. (2004). Situation Awareness in Emergency Medical Dispatch. International Journal of Human-Computer Studies, 61(4), 421-452. Blandford, Ann, Wong, B. L. William, Connell, Iain, & Green, Thomas. (2002). Multiple Viewpoints On Computer Supported Team Work: A Case Study On Ambulance Dispatch. In F. Culwin (Ed. ), People and Computers XVII, HCI 2002 Conference, 2-6 September 2002 (pp. 139-156). London: Springer, in collaboration with the British Computer Society. Hayes, J., Moore, A., Benwell, G., & Wong, B. L. W. (2005). Complexity factors in ambulance command and control. In Proceedings of the Human Factors and Ergonomics Society 49th Annual Meeting, 26-30 Sept 2005, Orlando, Florida. (pp. 234-238): HFES Press. Wong, B. L. W., Hayes, J., & Moore, T. (2005a). What makes emergency ambulance command and control complex? In C. Johnson (Ed. ), 2nd Workshop on Complexity in Design and Engineering, GIST Technical Report G2005-1 (pp. 95-105). Glasgow, Scotland: Department of Computing Science, University of Glasgow. Wong, B. L. William, & Blandford, Ann. (2004a). Information handling in dynamic decision making environments. In D. J. Reed, G. Baxter & M. Blythe (Eds. ), Proccedings of ECCE-12 , the 12th European Conference on Cognitive Ergonomics 2004, Living and Working with Technology, 12-15 September 2004, York. (pp. 195-202). York: European Association of Cognitive Ergonomics. Wong, B. L. William, & Blandford, Ann. (2004b). Situation Awareness in an Emergency Medical Dispatch Centre. In Proceedings of the 48th Annual Meeting of the Human Factors and Ergonomics Society (pp. 285-289). Santa Monica, CA: HFES. Wong, B.L. William, & Blandford, Ann. (2001). Situation awareness and its implications for human-systems interaction. In W. Smith, R. Thomas & M. Apperley (Eds. ), Proceedings of the Australian Conference on Computer-Human Interaction OzCHI 2001, 20-22 November 2001 (pp. 181-186). Perth, Australia: CHISIG, Ergonomics Society of Australia. Amaldi, P., Fields, B., Rozzi, S., & Wong, B. L. W. (2005a). Operational Concepts Report Vol.1: Approach Control. Deliverable 12. Report prepared for AD4: 4D Virtual Airspace Management System, Sixth Framework Programme, Priority 1.4 Aeronautics and Space. Project Contract No. 012328. 15 June 2005, OCR1-AD4-WP2-MU. London, UK: Interaction Design Centre, Middlesex University. Amaldi, P., Fields, B., Rozzi, S., Woodward, P., & Wong, B. L. W. (2005b). Operational Concepts Report Vol.2: Tower Control. Deliverable 12. Report prepared for AD4: 4D Virtual Airspace Management System, Sixth Framework Programme, Priority 1.4 Aeronautics and Space. Project Contract No. 012328. 21 October 2005, OCR2-AD4-WP2-MU. London, UK: Interaction Design Centre, Middlesex University. Monteleoni, A., Panifici, E., Lot, D. D., Paola, A., Fields, B., Rozzi, S., et al. (2005). Next Generation 4D HMI Concepts. Deliverable 14. Report prepared for AD4: 4D Virtual Airspace Management System, Sixth Framework Programme, Priority 1.4 Aeronautics and Space. Project Contract No. 012328. 15 June 2005, 4DHMI-AD4-WP2-NX. Rome, Italy: NEXT Sistems Ingegeria. Li, X., Sanderson, P., Wong, W., & Choudhury, S. (2005). Applying the control adaptation method to a real world system: Hydropower system example. In Proceedings of the Annual Conference of the European Association of Cognitive Ergonomics, EACE 2005. Chania, Crete, 29 Sept - 1 Oct 2005. Memisevic, R., Sanderson, P., Choudhoury, S., & Wong, W. (2005). Work domain analysis and ecological interface design for hydropower system monitoring and control. In Proceedings of the IEEE International Conference on Systems, Man and Cybernetics. Hawaii, USA, 10-12 October 2005 (pp. Paper accepted for publication). Sanderson, P., Memisevic, R., & Wong, W. (2004). Analysing cognitive work of hydroelectricity generation in a dynamic deregulated market. In Proceedings of the 48th Annual Meeting of the Human Factors and Ergonomics Society (pp. 484-488). Santa Monica, CA: HFES. Wong, B. L. W., Joyekurun, R., Mansour, H., Amaldi, P., Nees, A., & Villanueva, R. (2005b). Depth, Layering and Transparency: Developing design techniques. In S. Balbo & T. Bentley (Eds. ), Proceedings of OzCHI 2005, the Annual Conference of the Australian Computer-Human Interaction Special Interest Group, Human Factors and Ergonomics Society of Australia, 21-25 November 2005 (pp. Accepted for publication). Canberra, Australia. Wong, B. L. W., Joyekurun, R., Nees, A., Amaldi, P., & Villanueva, R. (2005c). Information layering, depth and transparency effects on Multi-Layered Displays for Command and Control. In Proceedings of the 49th Annual Meeting of the Human Factors and Ergonomic Society, 26-30 September, 2005, Orlando, FL. (pp. 353-356): HFES Press. Wong, B.L. William. (2003). Technology affordances of the ActualDepthï¿½ Multi-Layered Display. Report prepared for Deep Video Imaging Ltd, Hamilton. Objective 12 TBG Grant Reference Number DVIL 0201: Human-Computer Interaction of the ActualDepthï¿½ 3D Display Technology. Dunedin, NZ: University of Otago. Keith, Suzette, & Wong, B.L. William. (2004). Fit for purpose: Accessibility of On-line Public Service Information through the Barnet CAB Electronic Advice Project. Report prepared for the Manager, Barnet CAB. : Middlesex University Contract No. MUVL-6505. Keith, Suzette, Springett, Mark, & Wong, William. (2005). Purpose and context: selecting multiple methods for evaluating a pilot public information terminal. In Proceedings of The Ergonomics Society Annual Conference, 5-7 April 2005, Hatfield, UK (pp. To be published). On 13 April 2005, William Wong presented his Inaugural Professorial Lecture entitled "Human-Systems Interaction: Challenges for Representation Design". Islam, Junayed and Xu, Kai and Wong, B. L. William (2018) Uncertainty of visualizations for SenseMaking in criminal intelligence analysis. In: EuroRV3: EuroVis Workshop on Reproducibility, Verification, and Validation in Visualization (2018), 04-08 June 2018, Brno, Czech Republic.